January | 2014 | Michael Roberts Blog. 1. In April 2014, Britain's economic output - gross domestic product (GDP) - has yet to return to pre-2008 levels. 2. Britain's recovery lags behind that in the US and Germany. 3. Britain's recovery is slower than that which followed the Great Depression of the 1930s. 4. Except for the rich elite, living standards are down. At the time of the next UK election most people will be worse off than they were before the current Conservative government came to power. 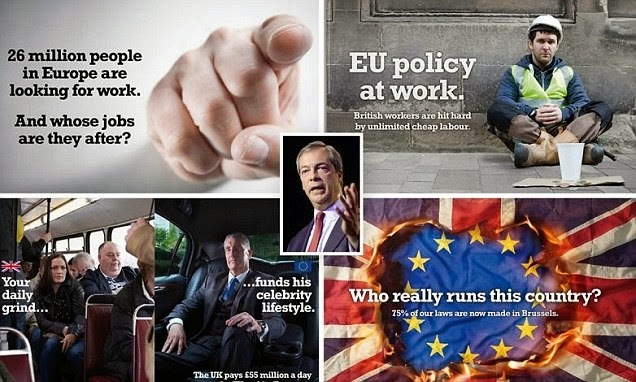 Poster from the anti-EU UKIP party. 5. Paul Krugman, the Nobel prize-winning US economist, said: "So the UK government did a lot of austerity, then stopped doing more..."
That is because the austerity was not working. 6. Britain's recovery is now based on rising property prices in London and more consumer debt. It is not based on increasing exports and increasing investment. George Osborne's gamble: is it paying off? Throughout the period from February 1998 through September 1999, and thereafter, Defendants COLLINS, SHACKLEY, and PIERCE on repeated occasions provided alcohol, controlled substances, and/or prescription drugs, some of which were unlawfully obtained through a Dr. Mobasser in which to intoxicate, subjugate and/or incapacitate plaintiffs, and for the purpose of further allowing defendants, and each of them, to physically and mentally abuse plaintiffs. Said prescription drugs and/or controlled substances included, but were not limited to, Valium, Vicodin, Xanax, Percocet, marijuana, hashish, Ecstasy, and Rufinols. On or about July 21, 1999, Plaintiff BURTON responded to an invitation by defendant PIERCE to come to the M&C ESTATE. BURTON met defendants COLLINS, PIERCE and SHACKLEY. Defendant COLLINS acting on the actual or ostensive authrity of DEN, offered BURTON employment with DEN. BURTON accepted the offer of employment by DEN and began working for DEN. BURTON performed his duties for DEN at various locations, including DEN's offices in Santa Monica and at the M&C ESTATE. These acts started when defendants COLLINS, SHACKLEY and PIERCE invited BURTON to join them in their jacuzzi/hot tub. Thereafter, COLLINS took BURTON aside, and showed BURTON his collection of firearms. COLLINS then demanded that BURTON enter into a room with another man. The man stood behind BURTON while COLLINS spoke with BURTON. COLLINS stated that the man standing behind BURTON will kill BURTON by choking him by the neck until he is dead. COLLINS further stated to BURTON that the man is waiting for his signal to begin chking BURTON, and that the signal would be for COLLINS to raise his arm. In addition to threats of physical harm, COLLINS also threatened to use his power and influence in the entertainment industry to prevent BURTON from gaining employment in the field of entertainment. On or about June 1998, MICHAEL E., a minor, was invited to the M&C ESTATE by the brother of Defendant SHACKLEY. Michael E. was born on August 7, 1982 so that at the time that Michael E. first met Defendants he was less than 16 years of age. MICHAEL E. met defendants COLLINS, PIERCE and SHACKLEY. Defendant COLLINS acting on the actual or ostensive authority of DEN, offered MICHAEL E. employment with DEN. MICHAEL E. performed his duties for DEN at various locations, including DEN's offices in Santa Monica and at the M&C ESTATE. COLLINS offered and in fact made available to MICHAEL E. large sums of money, motor vehicles, expensive watches and jewelry, carriage by limousine, access to alcohol, marijuana, prescription drugs, and controlled substances in order to entice MICHAEL E. into engaging in homosexual acts with COLLINS, SHACKLEY and PIERCE, or otherwise debilitate or incapacitate MICHAEL E. so as to allow COLLINS, SHACKLEY and PIERCE to engage in homosexual acts with MICHAEL E.
MICHAEL E. was subjected to each of these homosexual acts on multiple occasions from June 1998 through approximately March 2000, both while MICHAEL E. was under 16 years of age, and under 18 years of age. As part of this pattern of abuse and assaults, MICHAEL E. was routinely subjected to sessions with COLLINS wherein COLLINS would threaten MICHAEL E. with death, injury, physical and economic harm should he resist or report the physical and sexual abuse, harassment and assaults.